Our goal to push all athletes to their limits by providing a challenging course in a safe environment. Our top priority is the safety of all participants, volunteers, staff and spectators. 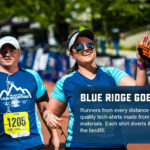 The Foot Levelers Blue Ridge Marathon course is designed as a road running course. Multiple Athletes with disabilities have inquired over the years about completing “America’s Toughest Road Marathon” using handcycles and wheelchairs. In 2014, organizers permitted a trial run of the half marathon course with two athletes with disabilities using handcycles. One athlete was a pro handcyclist, and the other was a recreational handcyclist. After observations of the athletes on the course and feedback from the athletes, it was decided that having an open field of handcyclists would not be safe for the race, given the course layout, extreme terrain, and that steep portions of the course are not fully closed to vehicular traffic. Organizers have also consulted with professional wheelchair racers, and these athletes indicated that the grades on the course are too dangerous for safe competition of racing wheelchairs. The Foot Levelers Blue Ridge Marathon is sanctioned by United States Track and Field (USATF). The USATF has a provision for Athletes with Disabilities to compete in wheelchairs; however, USATF does not accommodate handcycles in competition. The course utilizes special event permits issued by both the National Park Service and Roanoke City. 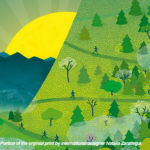 The National Park Service (NPS) issues a permit for the Blue Ridge Parkway which includes only the full marathon course. NPS does not permit wheeled vehicles under current permit. Roanoke City does not permit wheeled vehicles on city greenways which includes a portion of all courses but can make specials exceptions (see below). The competitor must have a physical disability that fits within the criteria as a disabled individual as set forth by the ADA. If this criteria is not met, individuals may be considered on a case-by-case basis. The competitor’s wheelchair must have working brakes. The competitor’s wheelchair must be tethered to an able-bodied individual (“companion”) at all times during the event. The tether should be 6′ long and secured to both the person and the chair. Neither the competitor nor the companion will be eligible for age-group or overall awards. The competitor and companion must each register for the race individually. It is highly recommended that the competitor have more than one companion accompanying him or her during the race; however, only one companion must be tethered to the chair at any given time. We can also allow athletes with disabilities who require a service animal to complete the event with their service animal, provided that animal has been conditioned to complete the required distance, just as a runner trains to complete the distance. Only trained service animals as defined by the Americans with Disabilities Act may compete with a disabled athlete. While we are continually inspired by Athletes with Disabilities, the safety of all people involved in the event is of paramount importance.